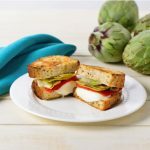 This recipe for Grilled Cheese with Pear and Ham makes for a great lunch for kids – they just love the creaminess of the cheese, sweetness of the pear, and the crunch of the toast. 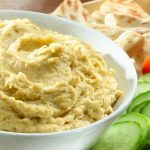 Yet it’s rich and decadent enough that it could also be served to lunch guests (try sour dough bread and Bartlett pears). 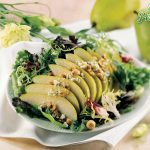 The pears go so well with a variety of cheeses – brie, gouda and old cheddar are some of my personal favourites. Here’s the key to a successful grilled cheese: low and slow heat. You want the cheese to melt and the bread to become golden at a slow rate so that it doesn’t burn. Heat a large non-stick frying pan over medium-low heat. Mix together mayonnaise and mustard. Layer 4 slices of bread with mayonnaise mixture, ham, pear and cheese. Top with remaining slices of bread. Spread both outside pieces of bread with butter. Working in batches, add sandwiches to frying pan and cook until crispy and golden, then flip. 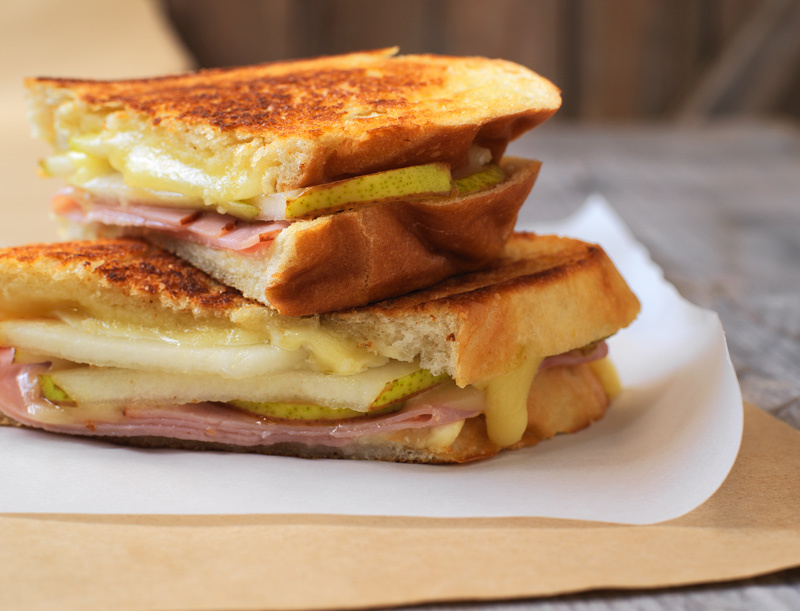 This grilled cheese with pear and ham sandwich can me made on a Panini press. You can substitute apple for pear. You can substitute Dijon for hot mustard. Arugula would add a nice peppery bite to this sandwich. The pear adds a nice sweetness that you don’t even need ketchup.